I am The Accidental Boxer. I have spent many hours staring at this man’s athletic form on posters in the boxing gym I go to at home. It was a welcome distraction imagining his muscles rippling beneath a sheen of sweat. I was 16 the first time I remember having much thought about Muhammad Ali. 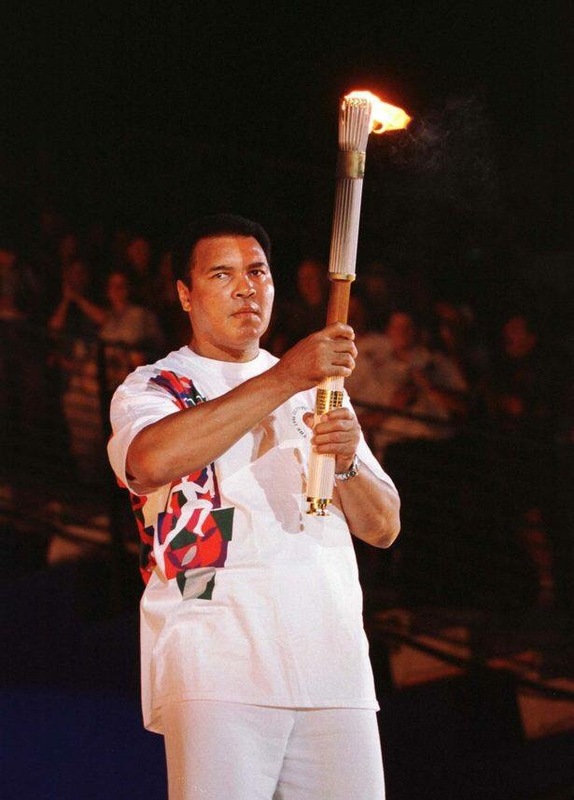 I was watching him light the torch at the Olympics. I’ll never forget feeling like I was witnessing one of the strongest men on the planet overcoming an obstacle. I feel like I have more courage in my life because of the example The Greatest set for me. I am going back to the boxing gym as soon as I get home. I am going to continue to believe I can do anything I put my mind to. I am going to live a life without fear. RIP. You fought and won the hearts of the world. You truly are still The Greatest.